I had my first miscarriage on Christmas Eve. 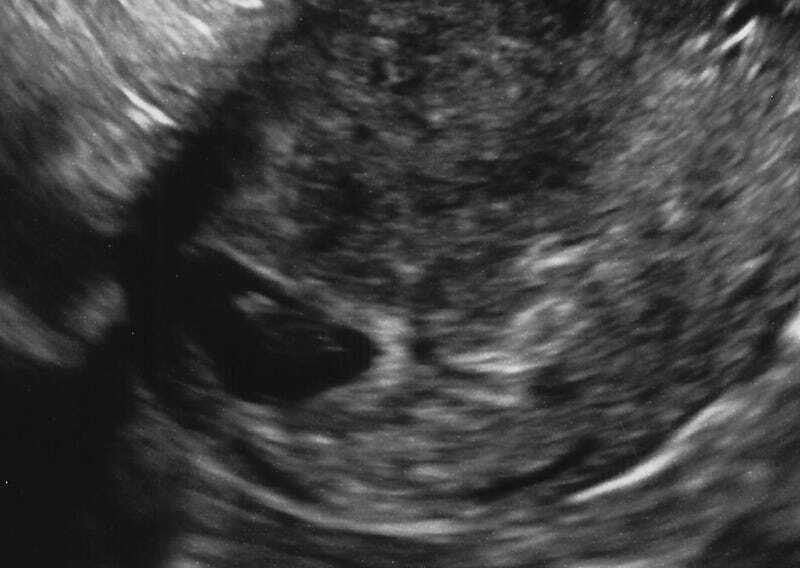 Three days before I had heard the words “no longer viable” during an ultrasound. It had been my second scan in as many weeks. I was ten weeks pregnant. I am fortunate enough to have had one successful pregnancy, even more fortunate that it also happened to be my first pregnancy. All of my miscarriages have happened after the birth of my first child—a beautiful little girl who grew more miraculous with each empty ultrasound. Writing about it is cathartic, but sometimes cathartic isn’t good. At some point, you realize that you are a statistic. You start to count the women around you at the grocery store, or at work, and you wonder how many of them have also lost a pregnancy. You wonder about the husbands and partners who so clearly felt the emotional loss, but couldn’t get the closure that the physical signs provided. You see the children at the mall or in the park, and you wonder what their mothers got right that you had gotten wrong. Roughly twenty percent of women have a miscarriage. Most of those happen in the first trimester. Miscarriages aren’t just a modern phenomenon, but the early detection of pregnancy tests is. The loss is made more real by the confirmation, I think. The two lines give us moments of hope, followed by eternities of doubt. Too often, the heartbeat is not found and the pregnancy is not viable. On Christmas Eve I started feeling contractions in the evening. I compared the painful cramps to those that led to the birth of my daughter. Each contraction reminded me of the baby that wouldn’t come. The blood was a mark of my failure. But I had done nothing wrong, and even now, I struggle with the painful truth that some pregnancies don’t make it while others do. Sometimes there is no reason. Life is often called miraculous. But I think that this term undermines the enormity of the task at hand. It isn’t prayers and wishes that make a baby. There are organs that must perform, eggs that must be released, sperm that must be manufactured, timing that must be perfected. And then a fertilized egg must navigate and implant. A zygote must grow into a fetus. The lining must stick. A heartbeat must form. And then, a million other things must go right. I am one of the lucky ones. A million things did go right and I have a perfect little girl to prove it. But my three pregnancies since then have not been as painless, and I find myself dwelling on those instead. So I’ve decided to purge my system. Miscarriage isn’t something that most people talk about, but it should be. The pain is so wildly personal and monumental, and without any place to put it, it grows into a tangled mess inside the pit of your stomach. When I had my miscarriage, I told a few people. Some friends commiserated with me, and revealed that they too had had a miscarriage. Loss was all around me, and yet I never knew. It is a silent pain that we endure, and there is no reason for it. At some point, we must move on. At some point, we must acknowledge that we are statistics. We must heal. But in order to do that, we must first tell our stories, share the burden of our experiences, and purge the pain from our bodies. Miscarriages shouldn’t be hidden—that only compounds the shame and hurt. It is so natural and so common, and yet, so isolating. So I purge. I share my stories and acknowledge the pain.